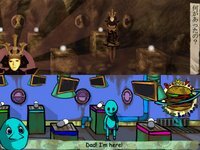 Some bits and pieces from the Adventure Developer Online Conference 2006 and adventure games in general. Click here for the complete list of participants. Three tracks from Telltale's Sam and Max series were made available for download today. Here's a browser-based text adventure by Deirdra Kiai. Dave hints on a sequel to The Shivah. A new adventure game creation engine entitled SCream is now available for download. Free to use for non-commercial projects. Kaptain Brawe will consist of two episodes. The first will be released on February 2007. As mentioned earlier, the download link for Typhoon 2001 has been removed. There is another project from the same author entitled Dogfight - Battle in the Skies. Unfortunately the lack of an option to change all text to English will deter most from trying it out. Update: Typhoon 2001 gets Jeff's approval. Expect the download link to be restored soon. 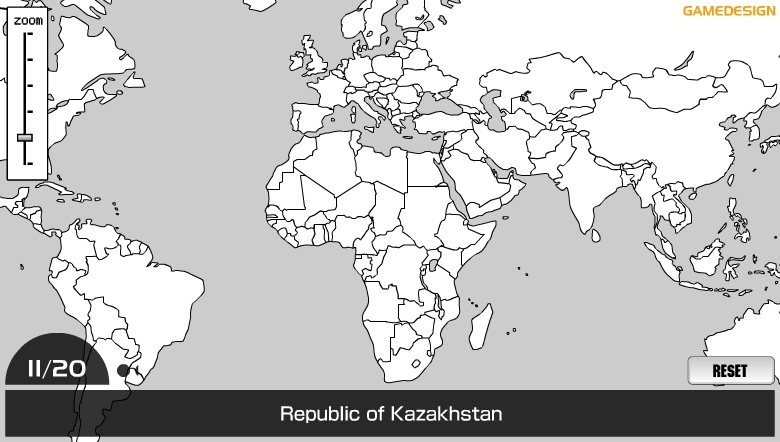 A nice little flash game by GameDesign, World Map will test your geography knowledge thoroughly with a set of twenty questions about countries and map locations. Definitely one for the kids or academics. 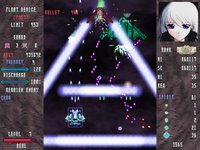 GR3 Re-DEATH is a Gradius clone by the team that released La-Mulana, a cult favorite among many even though the game was never translated. As hinted by the developers, this version would only be available for exactly one month since the web site will be taken offline soon. 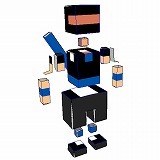 A Java-enabled machine is required to play. The scrolling is poor though most of the power-ups from Konami's hallmark series do make their appearance. Perhaps one for the collection but doesn't serve much purpose besides that. 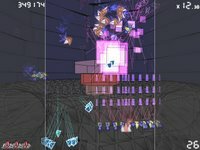 New screenshots for The Infinity String added. 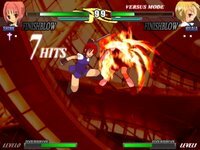 Kenta Cho's Titanion updated to version 0.2. Now includes modern mode in addition to classic. Postman describes another day at work, plus Gradius on the PS3. 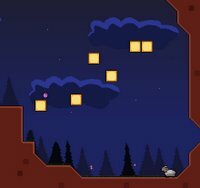 Here's an interview with Nifflas, creator of Within a Deep Forest. 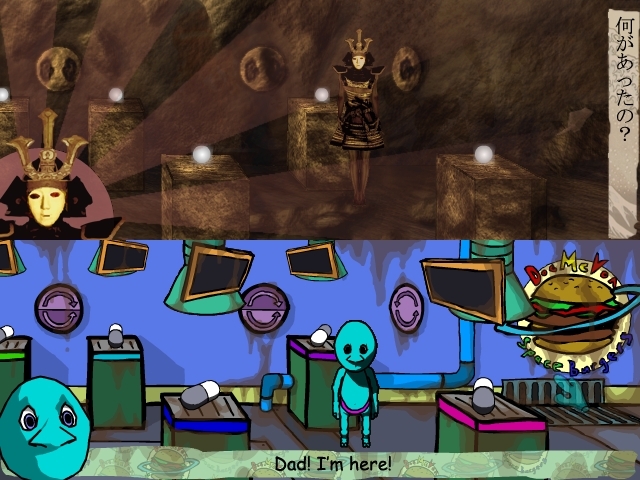 Pictured on the right is a screenshot from The Spirit Engine sequel. GameDev.net's Four Elements V final submission date is on the 30th of November. Mop of Destiny is one entry to keep an eye on. Any fans of The Sentinel here? 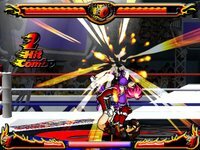 Two members from the Beats of Rage development team were recently interviewed by Destructoid.com. 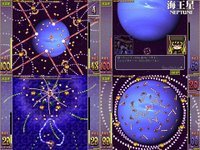 Anyone familiar with Tempest would definitely want to grab a copy of Typhoon 2001. Use the left and right arrow keys to move the ship around the stage, and hold the space key to shoot. 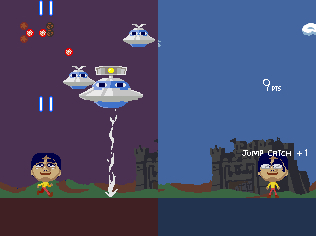 A superzapper can be used by pressing the enter key. Avoid spikes when warping to the next level. 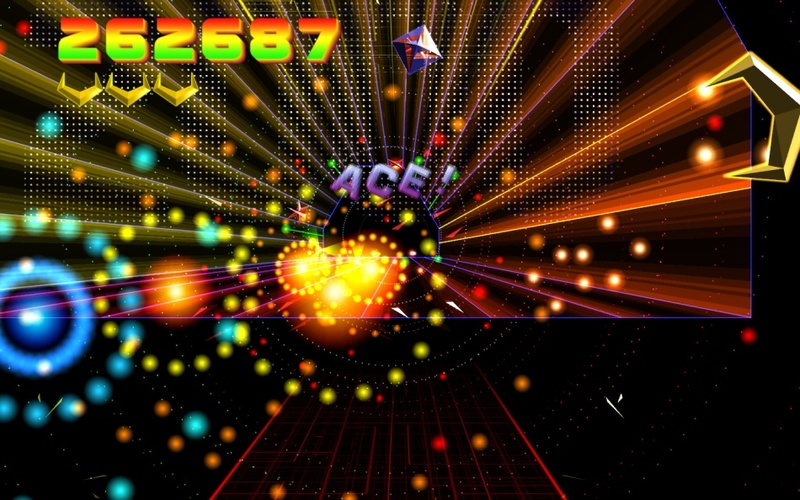 Not a standard vertical or horizontal shooter but quite simply one of the best freeware Tempest remake yet. Ace, indeed. An homage to SCI's SWIV, Switchfire features excellent 3D graphics and a simultaneous two player mode as well. 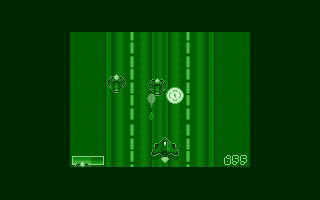 Different vehicles are assigned to each player, with one handling the jeep while the other controls the helicopter. The demo is awfully short and day to night transition is slightly unrealistic though the gameplay itself is decent enough. Controls are a bit awkward, with the arrow keys assigned by default to the first player but shots are managed by holding down either mouse button. A manual in the installed game directory provides adequate information on standard key mapping. A worthwhile download for anyone with the excess bandwidth to spare. 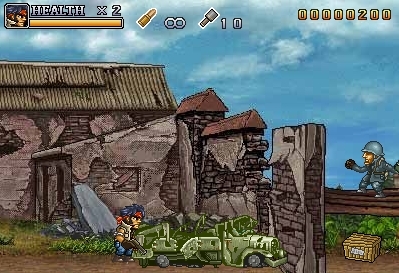 Commando is a Metal Slug clone with great graphics and pretty decent gameplay as well. Keyboard controls can be configured via the options menu, which does solve the problem of players clicking outside the window and disabling character movement by mistake. The health gauge is a plus, though missing a jump still manages to prove deadly in many areas. 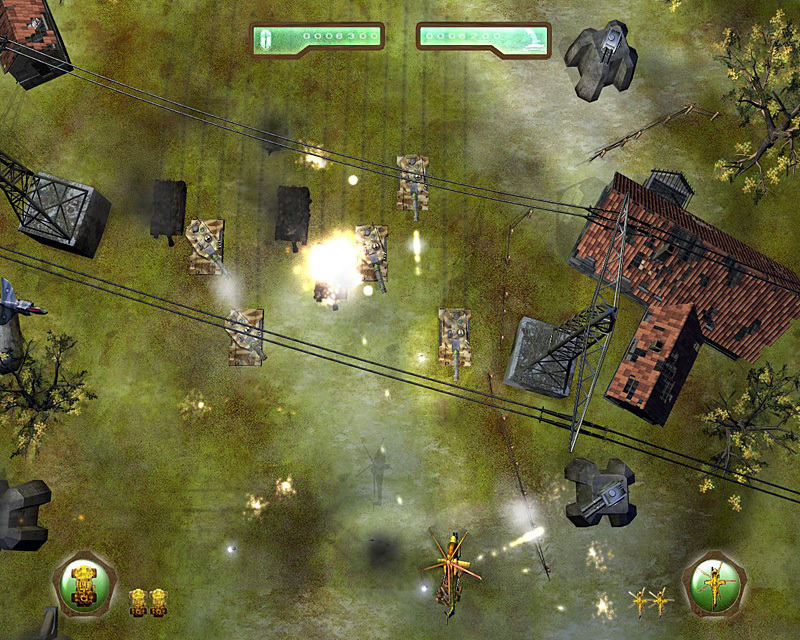 Grenades can be replenished by breaking ammunition boxes, which also reveals additional weapons and bonus items. PanicBCN is a decent platformer in the style of arcade classics such as Snow Bros. and Bubble Bobble. 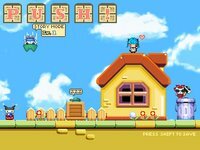 Simply beat on your enemies repeatedly with a hammer in order to complete each level, while collecting fruits and coins to boost your health gauge. Walking over stunned enemies will knock them out as well. Hold the action button for a few seconds before releasing it for a special attack, although this move requires a recharge in between uses. 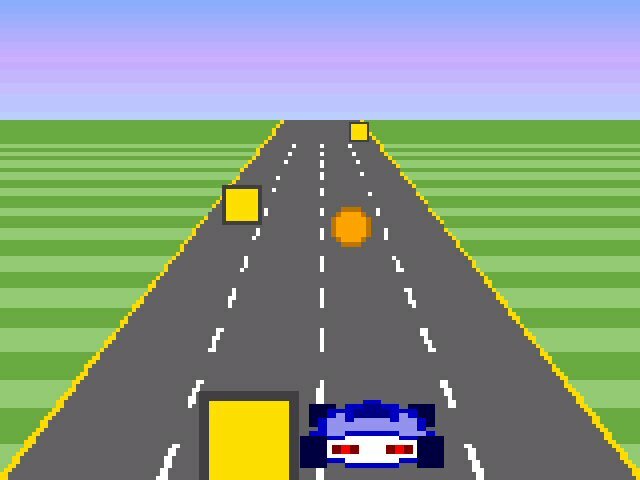 Progress is saved every five stages. SiL is a 3D puzzler by Fathammer Games, also the developer of the freeware vertical shooter entitled Angelfish. The game involves rotating 3D objects to match their silhouettes in the background before time runs out, hence it's chosen name. Unfortunately this production runs out of steam rather quickly even with over a hundred different items and wonderfully crafted locations. Nanikura is a brilliant remake of Nintendo's Ice Climber with updated graphics and level designs. 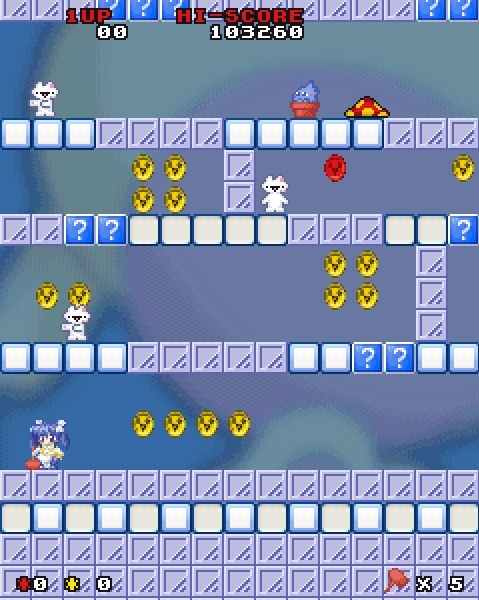 When your character jumps, she will automatically attempt to destroy any blocks above her head and hence creating holes in the ceiling for her to advance upwards. Press the Z key to hit sideways, and use the X key to jump. Cutscenes can be skipped, and the demo features a boss battle as well. A definite recommendation for fans of the classic. Scroll all the way down and click on the Win32 link below the red button to download the trial version. Cry Havoc is a nearly flawless adaptation of a well known board-game which doesn't pay tribute to the computer concerning it's atmospherics. If you are interested in strategy board games you definitely should try this one. The graphics taken from the original game are beautiful and so is the enchanting music. 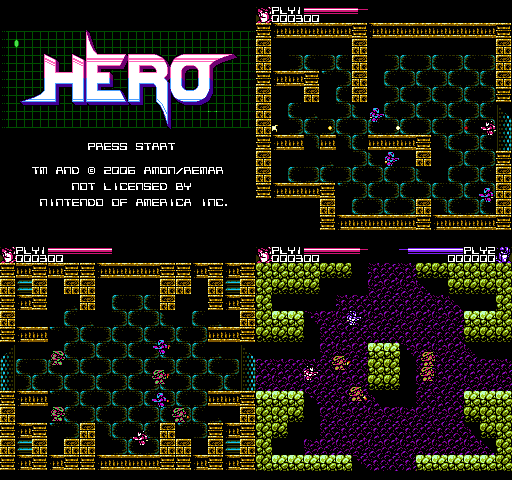 Features the possibility of loading additional maps and has an editor for custom scenarios. Cry Havoc: Test of Faith is turn-based. 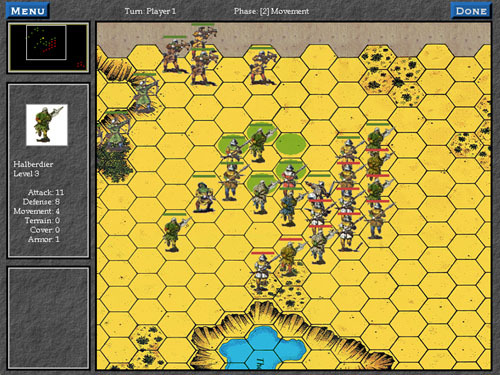 Two players at maximum play against each other in turns, which consists of 4 phases each: Offensive fire, where long range weapons are being shot, the moving phase, where you move your units, close combat, where, well... close combat is being executed and finally the Defensive Fire, where you mark some fields with your long range units. When, during the moving phase of the opponent, an enemy unit steps on this field, it will be shot by your warrior - you will have to guess, where the enemy might walk. 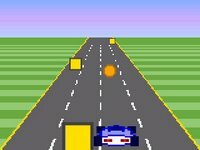 You can play the game on one computer, or via internet or LAN on two different computers, or you play against the computer - the game has an integrated AI. 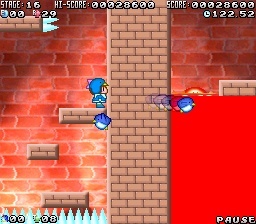 Ecoco de Fight is an alright platformer featuring ten levels worth of Bubble Bobble type gameplay. 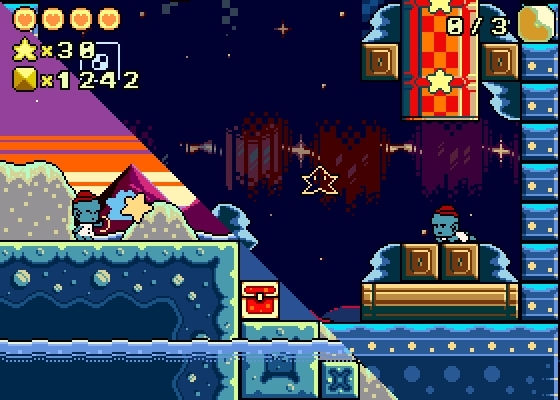 You can throw penguins at enemies in order to freeze them, or use the cute little creatures to collect items out of your reach. 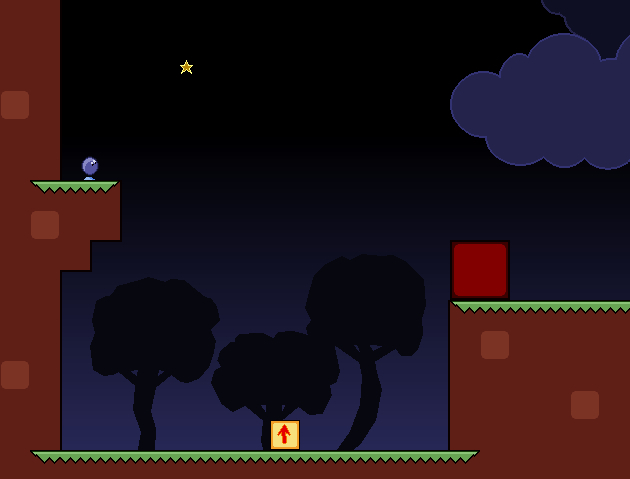 Press the Z key to throw, and use the X key to jump. 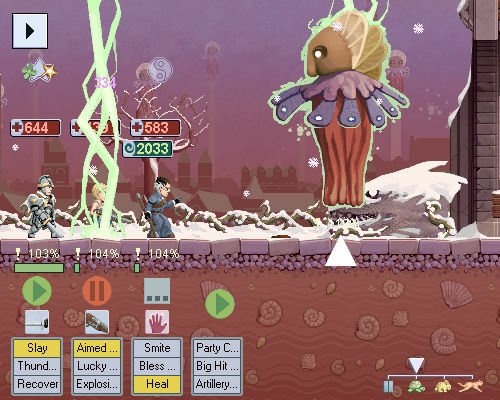 Frozen creatures can be picked up and thrown at other enemies, although floating objects require more than one hit. Contents from both ecoact-trial-data.zip and ecoact-trial-Windows.zip should be placed in the same folder for the executable to work. Hope you've completed Heartland Deluxe, because here comes another 50MB AGS adventure. Vince Twelve releases What Linus Bruckman Sees When His Eyes Are Closed. 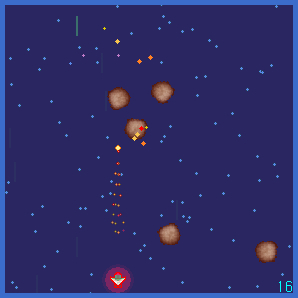 The gameplay in Starchild Journey involves drawing a circle around enemy projectiles, then launching these back at them to cause damage. 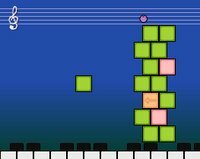 The tutorial does not allow this move to be learnt until around the halfway point, plus a new game option will only be accessible once all lessons are digested. 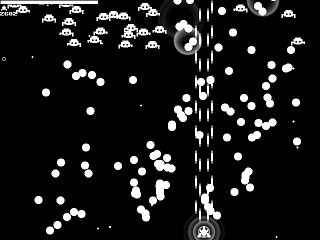 Each enemy wave will either require the player to destroy all enemies or capture a number of projectiles as shown on the upper right of the screen. Mouse controls only. Scroll all the way down to find the download link. Click here for the FileFront mirror. AGS bulletin is an excellent magazine about the current AGS scene. First issue features reviews plus walkthroughs for Duty and Beyond, Trilby's Notes and The House That Ate My Soul. Originally an OROW competition entry that won the prize for best writing, Heartland Deluxe now includes cutscenes and a panoramic view but it's relatively short length will disappoint many adventure game veterans. The author admits that the lock puzzle is random, plus an abrupt end to proceedings does little to improve the situation. A commendable effort nonetheless. A one hour and 3 minute long video from the game Full Throttle (by VGMD, 64MB) played from start to end, but edited to make it more watchable as a movie. Using in-game footage and some very minor tweaks, this movie tells the storyline of Ben's struggle to clear his and his biker gang's name when they are falsely accused of murder. 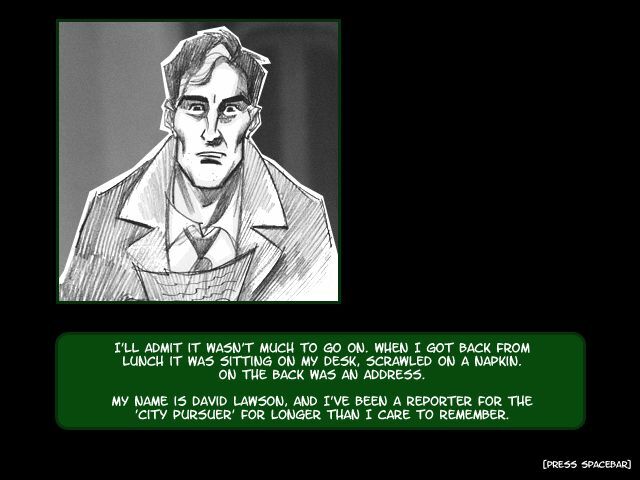 The GUI is hidden throughout the movie, gameplay elements, cutscenes and dialogue that add little to the overall storyline have either been trimmed or completely removed. ModArchive Story and Operator Status are technically prequels to Within a Deep Forest, featuring the same bouncing physics and difficult challenges. Anyone looking for a continuation to the tale will certainly be pleased by both of these releases. 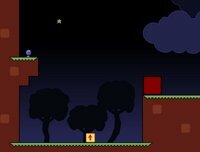 Dis is a short platformer by Nifflas, in which you have to guide a fellow companion to the end of a train by solving puzzles together with her assistance. Hold the A key to run and press the S key to jump. Goble is another unfinished effort by Nifflas, as demonstrated by the lack of sound and scarcity of screens. 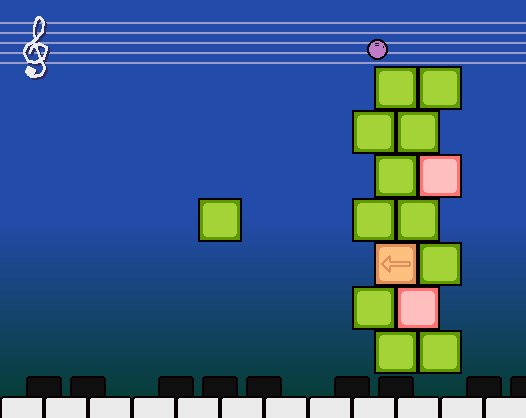 Press the shift key to jump. The save block does not work. The Turtle Philosopher is a short one level platformer by Nifflas which only displays in a small window. Perhaps a little too frustrating for most, save points are scattered around the area but a time limit is implemented as well. 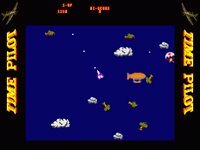 Pteranodon is a vertical shooter by Nifflas with an orbiter which can be repelled by holding the control key. This object is basically an equivalent of the Force, which can be used to smash enemy ships for an improved score. 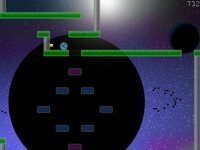 Hold the shift key to shoot and press the space key to release the orbiter. Unique but not particularly noteworthy. Roll is another short effort by Nifflas, though this one only requires the use of two keys to control. 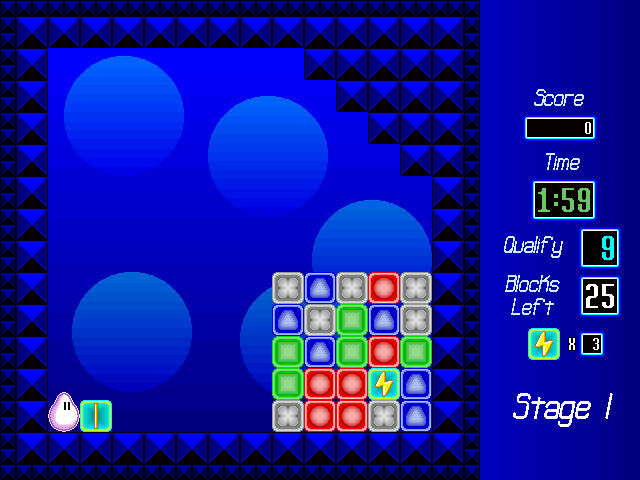 The game involves moving a ball from the top of the screen to the bottom, by navigating a maze of ledges carefully while landing on bonus tiles for extra points. Forgettable, even with an option to turn on enhanced physics. Push is a brilliant paint by numbers puzzler, though it does have several glaring problems which were never resolved by the author. Sparse tutorials do little to guide beginners and offer advanced tips, players are instead directed to online resources for advanced lessons. Pressing the shift key to save isn't mentioned anywhere else except during main menu navigation. Cutscenes cannot be skipped but the excellent gameplay it offers will make these issues negligible in just a few short sessions. 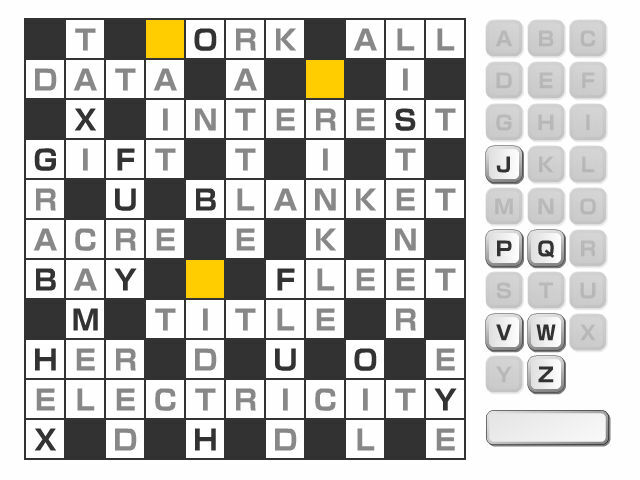 The action involves repeating a process of elimination in order to figure out pixel placements on a board, assisted only by numbers accompanying each column and row. Definitely more fun than Sudoku and especially entertaining during long trips on the train to work. 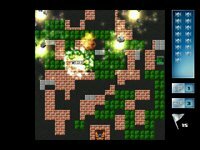 Placed highly in the inaugural Retro Remakes competition, and comes recommended for fans of fiendish puzzle releases. Click on Mario Picross to find the download link, or go here for the FileFront mirror. 8 Kingdoms is a turn-based-strategy title. It comes in full 3D and is hex-based. 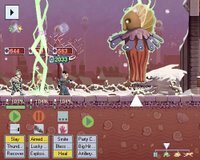 You can play against the computer or against other human players. There are several buildings with different abilities and the possiblity to train several different units, be it for short range or long range combat. In addition to that you can conquer villages, which will provide more gold at the beginning of every turn. 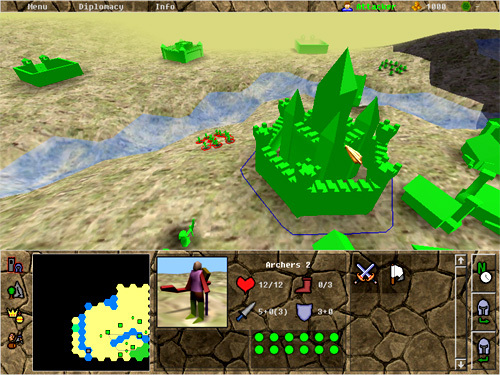 The game is well programmed and the different kinds of terrain have consequences concerning the movement or the possibility to build. 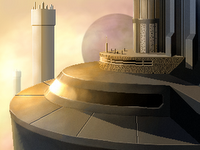 8 Kingdoms comes with a professionally designed set of maps for multiplayer and singleplayer. The music is great - middleage/skandinavian-like folk songs which greatly enhance the atmosphere of the title. Every unit will give feedback in spoken word when selected. 8 Kingdoms is a highly professional game title which will satisfy even the advanced turn based strategy gamer. The 3D environment is perfectly designed. Just download it, turn off your cellphone and hide in your room for a few days. 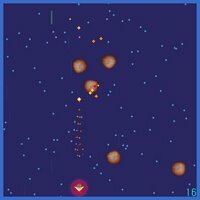 A Time to Warp is an interesting effort developed by Scott Nelson for the Acoders Indie Game Making Competition 2004. 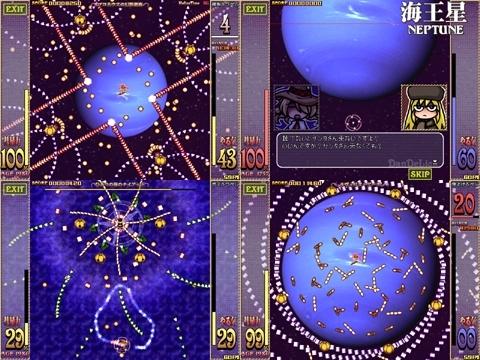 The objective is to collect colored orbs in a certain order, shown on the bottom left of the screen. 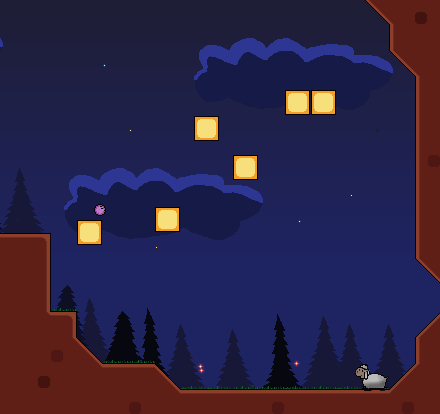 Crates have to be shot at using the space bar to reveal the orbs contained inside. Brown orbs should be avoided, while white orbs can be collected for an extra life. Each stage is presented to the player differently, depending on the year you're currently in. 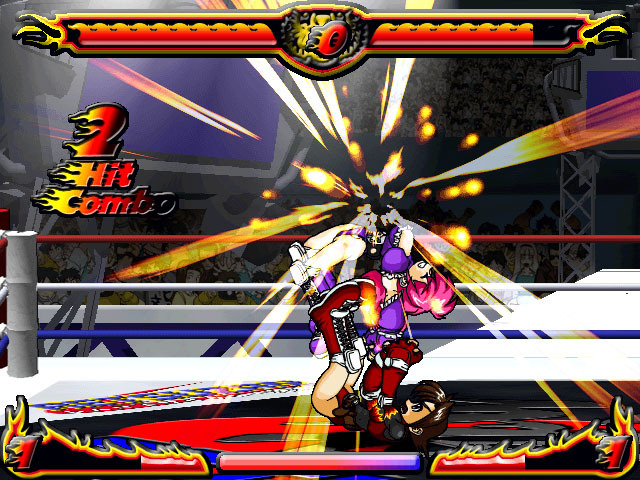 Burning Angels is an impressive fighting game with outlandish characters, colorful costumes and the wrestling ring as it's setting. Press the A or S key to attack, and use the Q or E key to grapple your opponent. The number of moves is staggering, and their descriptions only useful to anyone who is able to understand Japanese. A lot of work went into this production but sadly it remains forgotten due to it's inacessibility and language barrier. Click here to download the demo. Look elsewhere for your fighting game fix. 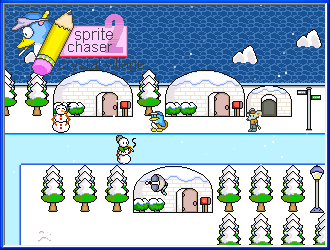 Sprite Chaser 2 is another paint by numbers puzzler mixed with RPG elements. Players seeking just the challenge will be slightly disappointed with the number of quests and ambiguity in this game. Still, a worthy effort and decent alternative to the much superior Push. 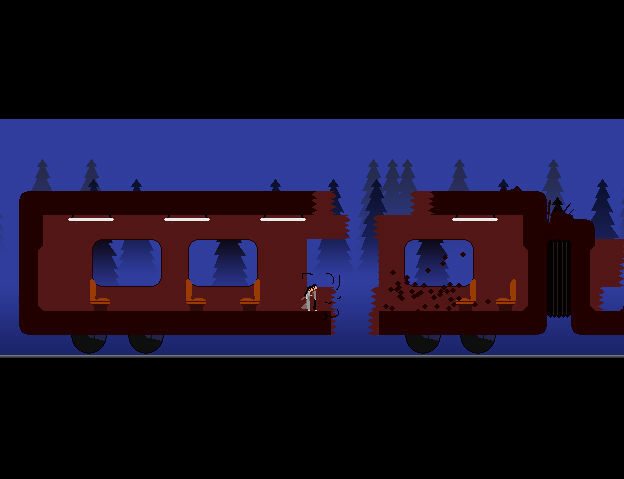 Dave's sprite work is pretty impressive as well. 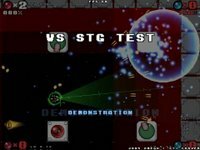 Shih Tzu's entry provides information about downloading Pixel's latest shooter, SGX with the english translation patch already applied. 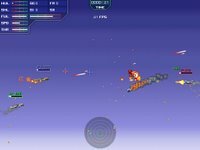 Time Pilot Remix is a pretty addictive arcade game in which you have to fly your ride through different time periods while shooting down aircrafts to meet the quota needed. 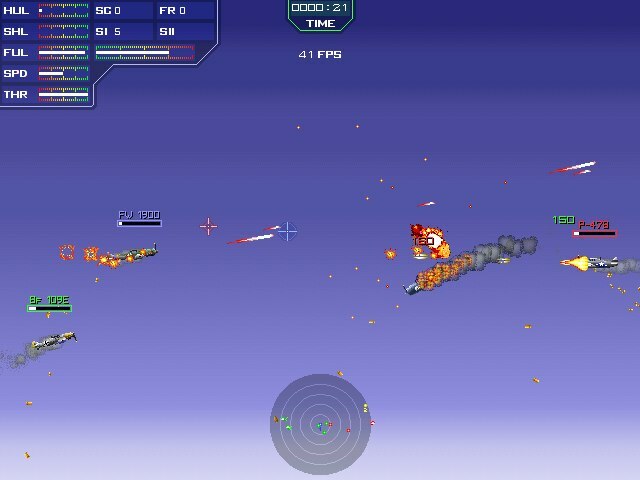 The number of planes that you have to blow up is shown on the bottom left of the screen. Use the left control or shift key to shoot. Press the left or right arrow key to turn your plane. An extra life is awarded for every eight thousand points earned. Joypad is detected automatically. Here is the FileFront mirror for anyone who is having problems with getting the remakes list to display. Gamenokihon is a below average shmup by Salim no atelier, featuring only one enemy sprite and a ripped track. 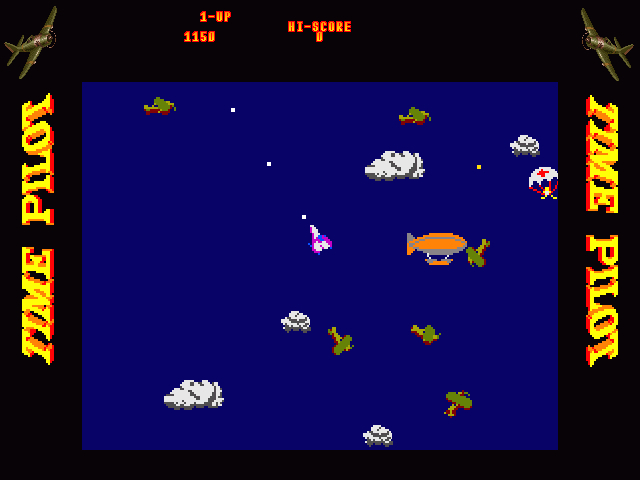 Shooting is automatic, and the player can use time controls to blast away enemy bullets by pressing the Z key. Doesn't seem to have hit point implemented, which is quite common in shooters by Japanese developers. A miss. 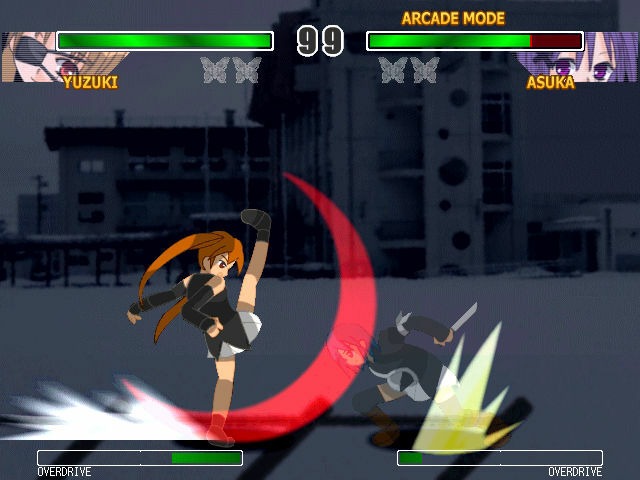 Emblem of Red Reshuffle is a fighting game by EXZAM that features eleven characters, each with their own set of basic and special moves shown at the player selection screen. 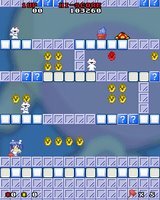 A remake of Mr. Driller for mobile devices, Ice is a decent action game in which the player has to continuously drill downwards while trying to avoid being crushed by stones or blocks falling from above. Use either the Z or arrow keys to drill. A gauge on the top right of the screen displays the amount of oxygen remaining, which can be replenished by collecting bonus tanks. 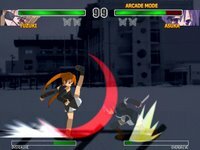 Alice Extend is an alright fighting game with only two choices for playable characters and limited number of moves to learn. Most likely a work in progress, Emblem of Red is still the recommended download among all of EXZAM's released works. Arahabaki is a poor vertical shooter by Rust Fairy Garden, featuring mostly pale color for sprites and backgrounds. 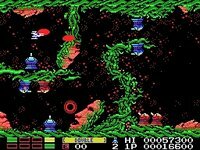 Enemy designs are largely uninspiring, and from a download of this size one would certainly had expected more content. Click here for a trial version. Just one of the guys who made Sierra's Space Quest series, speaking out. Here's an interesting one: The Many Ends to Roger Wilco. Warning: Contains scenes of violence, blood and gore. 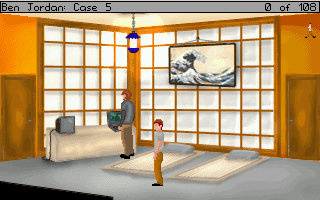 Ben Jordan Case 1 Deluxe is actually a remake of the first in the series, with several new additions. The file size had increased drastically, thanks to the amount of voice work done for this game. 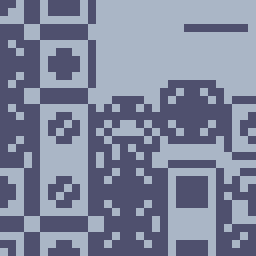 There are quite a few mundane puzzles though it's no fault of the developer, since the source material had to be followed closely. Nothing spectacular, but will definitely please fans of Grundislav's work. 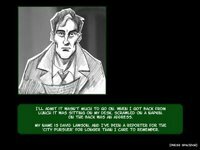 Ben Jordan: Paranormal Investigator Case 5 is the latest release from Grundislav Games, featuring our favorite hero in another globe-trotting adventure. All plausibility goes out the window in this episode, in which your character gets to assist police investigation work without any solid credentials besides fame. Japanese businessmen also seemed particularly free to talk to strangers, and some items are procured using strange methods. Still, the music is great and fans of the series would probably have this in their collection by now. Splat is an addictive game that should not be judged by its screenshots. 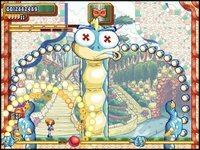 Your task is to guide Zippy around a maze while trying avoid touching the edge of the screen and other hazardous obstacles. There are plenty of items to collect around each level for points, useful to earn a respectable placing when your score is finally submitted online. The Battle City Remake by AFSoft is an updated version of Namco's arcade classic, in which you drive a tank around shooting enemies in similar vehicles while trying to protect your base marked with the emblem of an eagle. Featuring music by Maniacs of Noise. 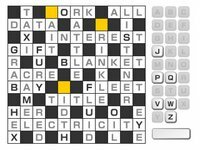 A new puzzler by GameDesign which will definitely please Crossword fans seeking a quick fix. No clues, just fit the alphabets into their appropriate squares to advance. Flipull Advantage is a rather dated remake of an obscure puzzler by Taito, in which the player has to match blocks to remove them from the screen and meet the quota to advance. The keyboard control and graphics could use some improvement, but overall it works well enough to please fans of the original. Not one of Acoder's best releases. 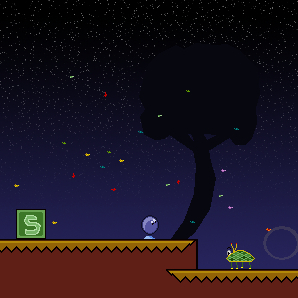 Another early effort by Pixel, Glasses is a short game in which you have to catch a pair of glasses for points. Three attempts are allowed. 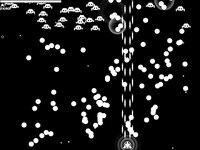 Get a score of thirty or above for the bonus Space Invaders game. I had high hopes for Sat-Elite 2, after being impressed with Hyper Wars, Invisible Vision and Alien Invasion but this is an utter disappointment. There's no difficulty setting and shades of green are only used as a gimmick. Worse still, you need to download two separate zip files to get this working. Avoid.